Jacob Jensen concentrates in designing elegant and beautiful technical objects, fulfilling the highest demands at the same time regarding touch, use and durable function. This is how the technology of the Alarm Clock Series Quartz keeps its promises. 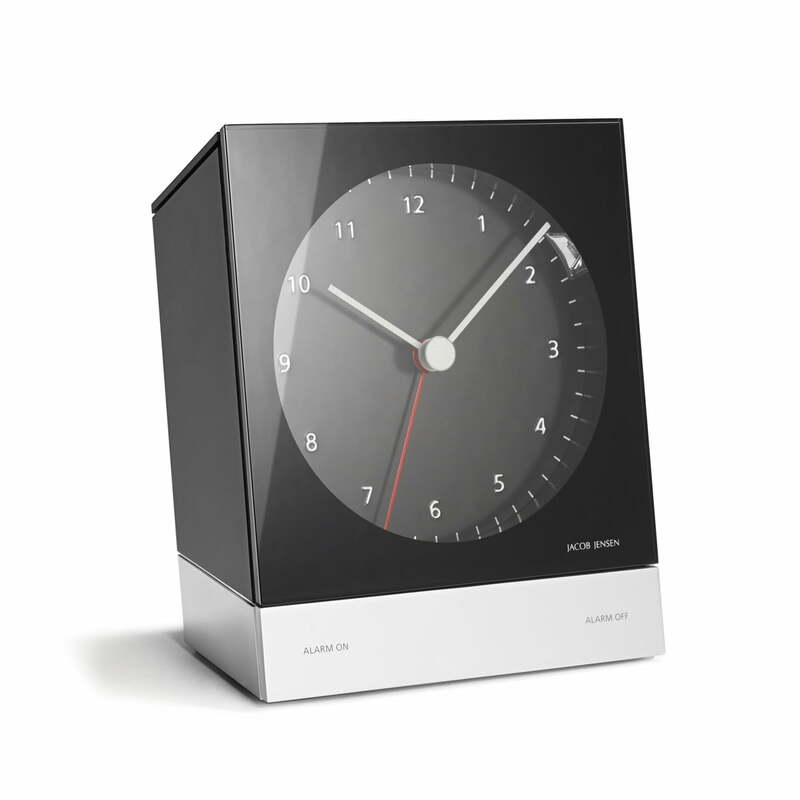 The typical edged, reduced shape of the Jacob Jensen Alarm Clock Series has an analogue dial, which reduces pointers and number lines to a minimum. This consequent realization of the simple, pure product design of Jacob Jensen doesn’t only delight the user regarding aesthetics. The time is also readable with a sleepy glimpse. The alarm sound also acts tranquil, activating its waking function via light diodes. A decent signal, which changes into an intense waking tone emerges, when the waking time comes. The snooze function, which appears every few minutes, ensures a soft start into the day for late risers. The included background illumination is activated with the starting of the alarm or with a soft press on the surface button. Not at last it is the high quality material which ensures reliability, precision as well as happiness with the product and its design. 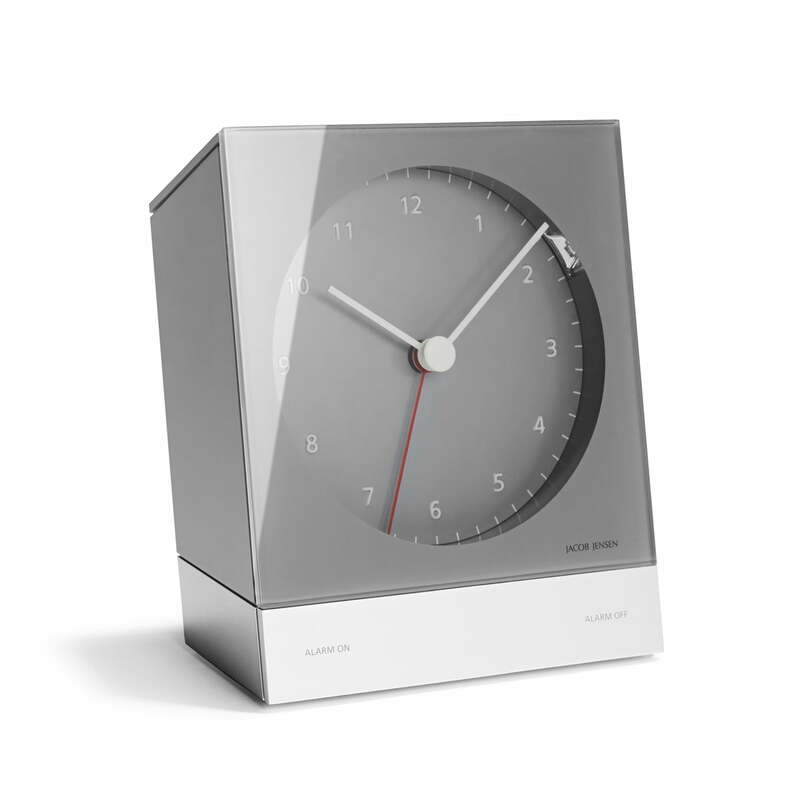 The Alarm Clock Series Quartz by Jacob Jensen is also available as radio clock. This means that you won’t have to change the time twice a year.